The return of steam shark, in more detail. I tried to borrow the visual style of the bridges built during the 19th century in some parts. There is also a boiler. 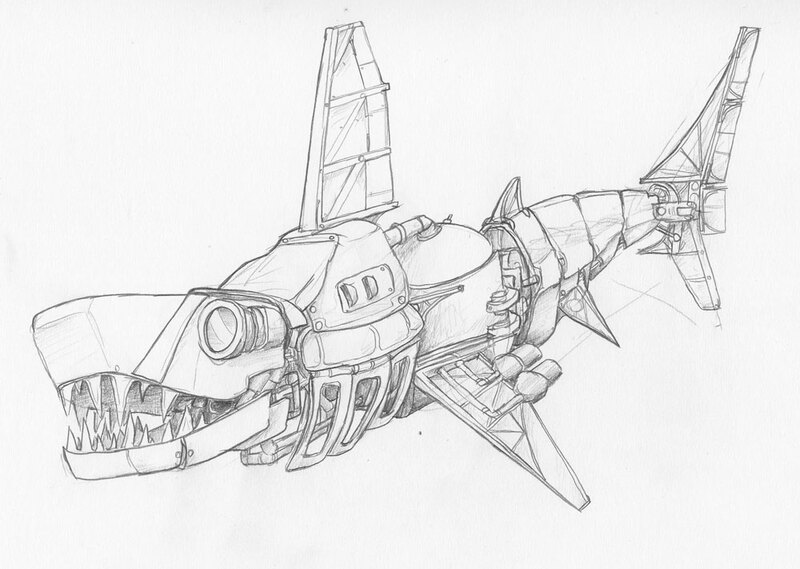 This entry was posted in Scanned Desksketch and tagged shark, steam, steampunk by Anthony. Bookmark the permalink.